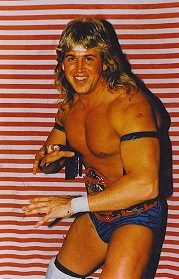 - WCCW 4th Von Erich Memorial Parade of Champions (May 3, '87) = Steve Doll defeated Tim Brooks. - NWA Pacific-Northwest Tag-Team Title Tournament (April 21, '89) = The Southern Rockers (Doll & Scott Peterson) beat Al Madril & Joey Jackson, CW Bergstrom & Scotty the Body, and Col DeBeers & Nord the Barbarian to win the tournament. - NWA Pacific-Northwest Heavyweight Title Tournament (September 2, '89) = Doll lost in the first round to Beetlejuice. Scotty the Body won the tournament. - AJPW Budokan Hall (April 18, '91) = The Southern Rockers (Doll & Rex King) won over Mitsuo Momota & Yoshinori Ogawa. - NWA Pacific-Northwest Tag-Team Title Tournament (April/May '91) = The Southern Rockers (Doll & Rex King) beat the Dirty White Boy & the Grappler, then fell in the finals to the Harris Brothers. - WWC 19th Anniversary Show (August 8, '92) = The Southern Rockers (Doll & Rex King) retained the WWC World Tag-Team Titles, taking down Dean & Joe Malenko. - SMW Blue Grass Brawl II (April 1, '94) = Steven Dunn was beaten by Lance Storm. - SMW Volunteer Slam III (May 20, '94) = Well Dunn (Dunn & Timothy Well) lost to Chris Jericho & Lance Storm. - WWF Jacques Rougeau Retirement Show (October 21, '94) = Well Dunn fell to the Bushwhackers. - WWF Royal Rumble '95 (January 22) = Dunn competed in the Royal Rumble, which was won by Shawn Michaels. 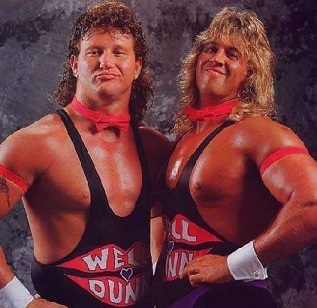 - HWA 1st Annual Pillman Memorial Show (April 29, '98) = The Tennessee Volunteers (Dunn & Reno Riggins) defeated Brian Taylor & the Bounty Hunter. - NWA 50th Anniversary Show (October 24, '98) = The Tennessee Volunteers retained the NWA North American Tag-Team Titles, but lost, via DQ, to the Headbangers.